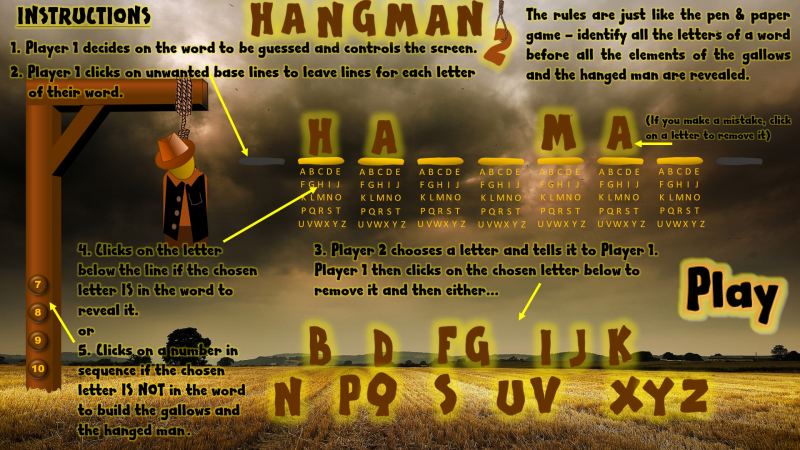 The first Hangman game was you against the computer. 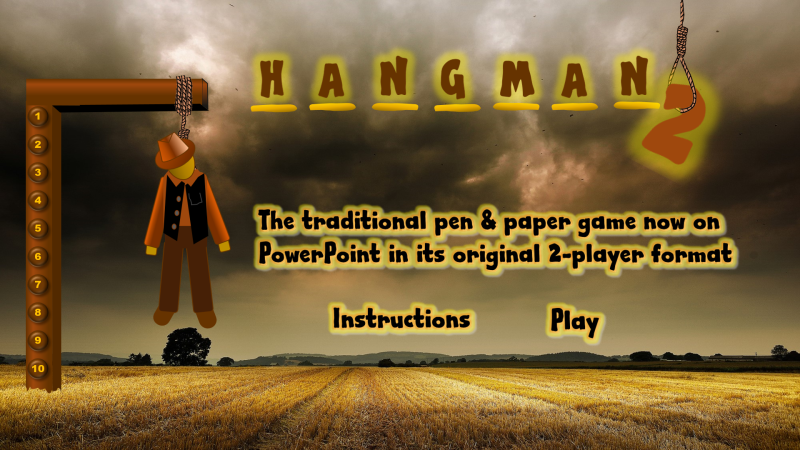 This new version is a 2-player game that replicates the original pen & paper game more accurately. 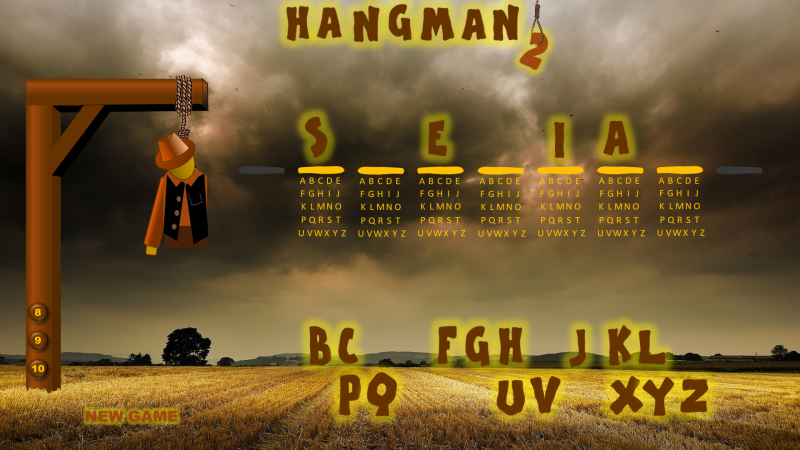 You can use any words of up to 9 letters.